Tom was born in Portsmouth, VA but grew up on Navy bases in Mayport, Morocco, Maine, the Philippines, Guam, and finally in Washington State, where he enlisted in the US Navy. The next 20 years were spent in the boiler rooms of USN cruisers, destroyers, and aircraft carriers as he circumnavigated the globe. Tom retired from the Navy, having achieved the rank of Master Chief Petty Officer, and settled in southern New Jersey. He then spent 15 years as Director of Facilities in hospitals, nursing homes, and school districts before starting his own company managing homeowner and condominium associations. Tom and his wife Diane have enjoyed cruising the Chesapeake Bay, where they decided the live-aboard lifestyle was perfect for them. 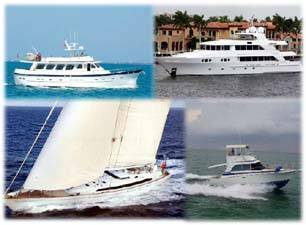 They bought their current aft cabin motor yacht and relocated to Jacksonville, FL in 2016 as full time cruisers. Tom and Diane have enjoyed travel throughout the US and abroad. Tom served on the board of their yacht club, and is a Free & Accepted Mason, as well as a member of the Scottish Rite. He also enjoys riding his motorcycle with the Patriot Guard Riders, who serve as flag lines at veteran’s funerals. He is thoughtful in his approach, researches answers thoroughly, and gets satisfaction from solving a problem. He frequently thinks “outside of the box” to achieve a solution. 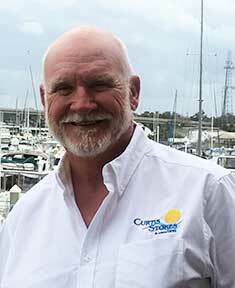 He brings that same thoughtful thoroughness to finding the right boats for his buyers, and the right buyers for his sellers. His military upbringing and background contribute to his tenacity and integrity. Tom can be reached by email at Tom@CurtisStokes.net or by phone at 904-382-9610.